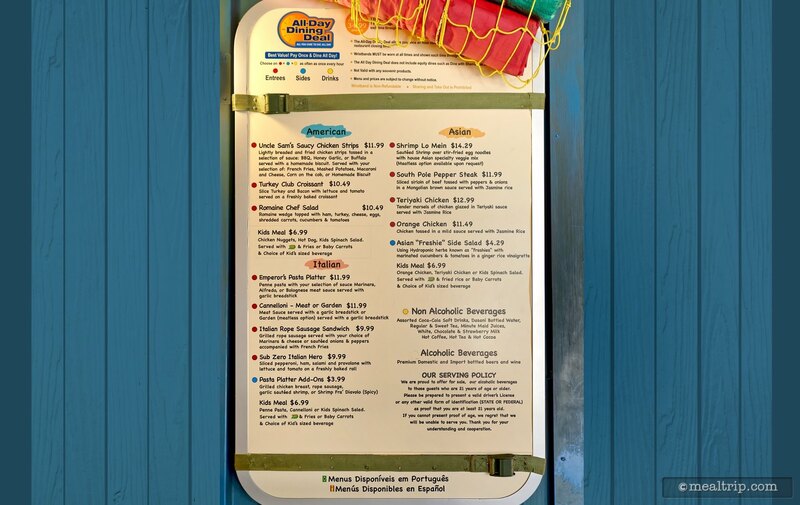 The Expedition Cafè listing is a Counter Service (quick service) dining location at SeaWorld Orlando featuring Asian - Chinese, Japanese, Thai, Italian and American cuisine. 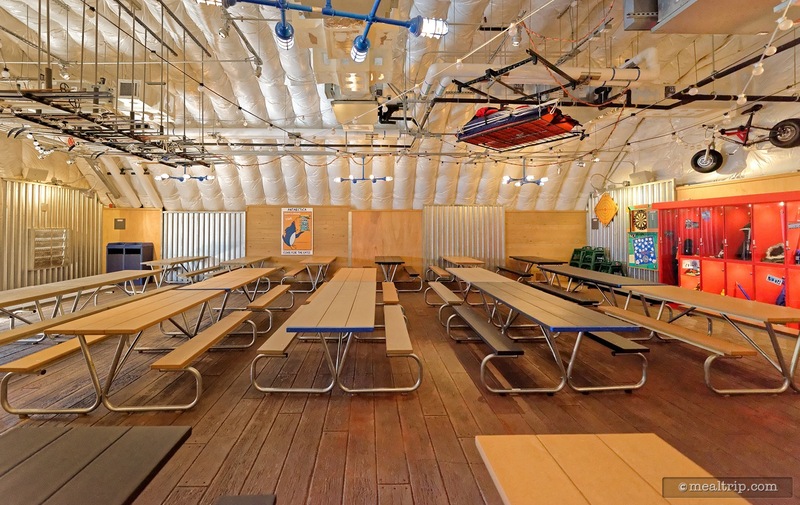 There are 25 photos in the Mealtrip photo gallery for this location and dining period. 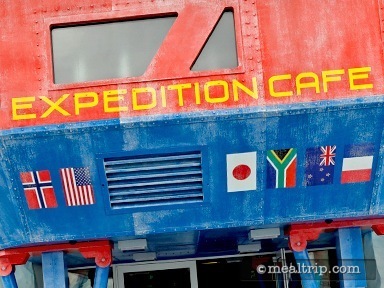 The Expedition Cafè listing currently has a score of 73 out of 100. Click here to read all of the reviews for this location, or log in to Mealtrip.com to add your own review for Expedition Cafè. 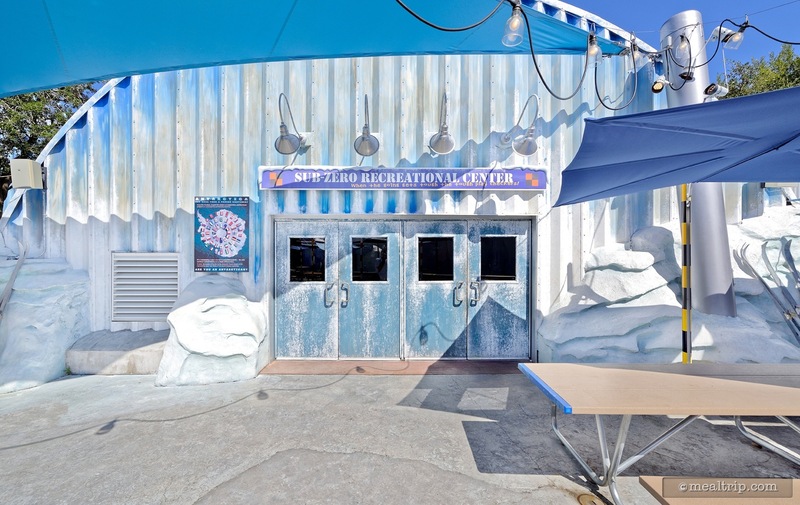 Entrance to Sea World Orlando's Expedition Cafe. Expendition Cafe Menu and Prices (photo taken Fall 2017). 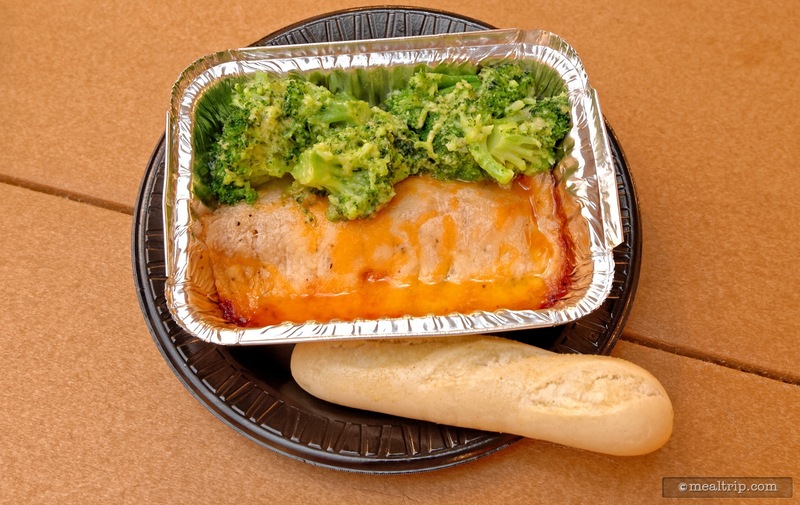 From the "Ristorante Italiano" booth inside Expedition Cafe this is a Meat Cannelloni served with a garlic breadstick and Broccoli Florentine. 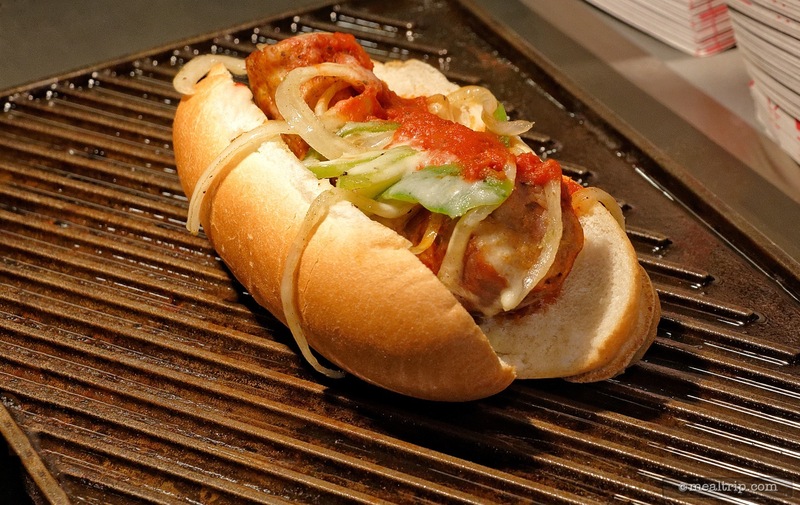 An Italian Rope Sausage Sandwich from Expedition Cafe's Italian Station. 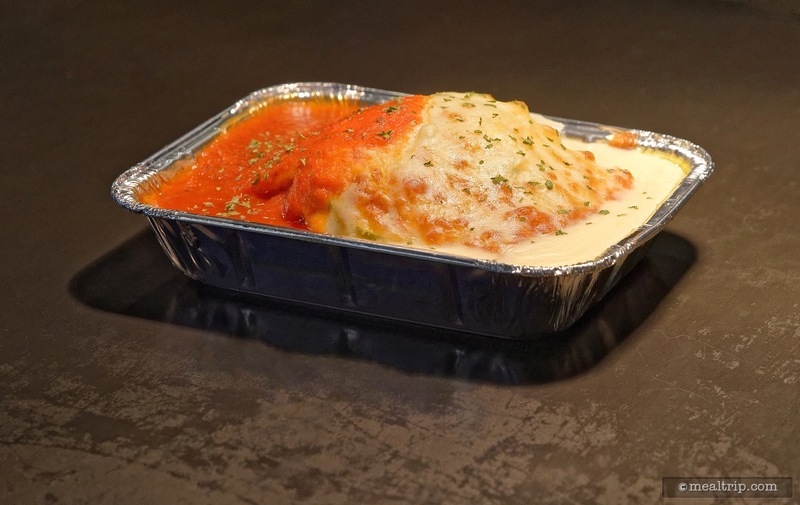 Garden Lasagna from SeaWorld Orlando's Expedition Cafe. 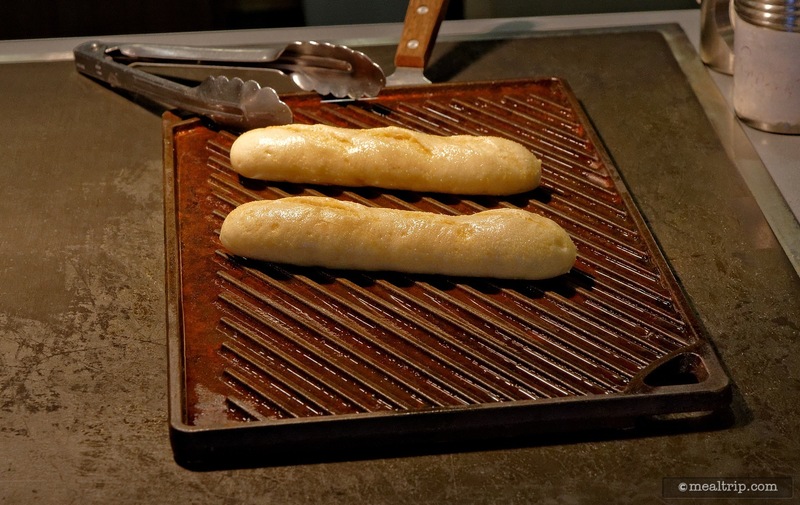 Garlic breadsticks accompany the Garden Lasagna. 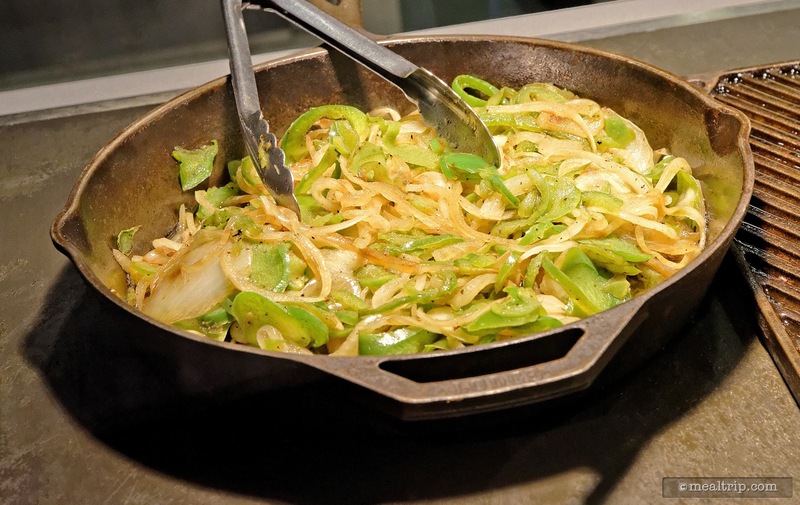 Fresh sauteed onions and peppers are on hand for the Italian Rope Sausage Sandwich. 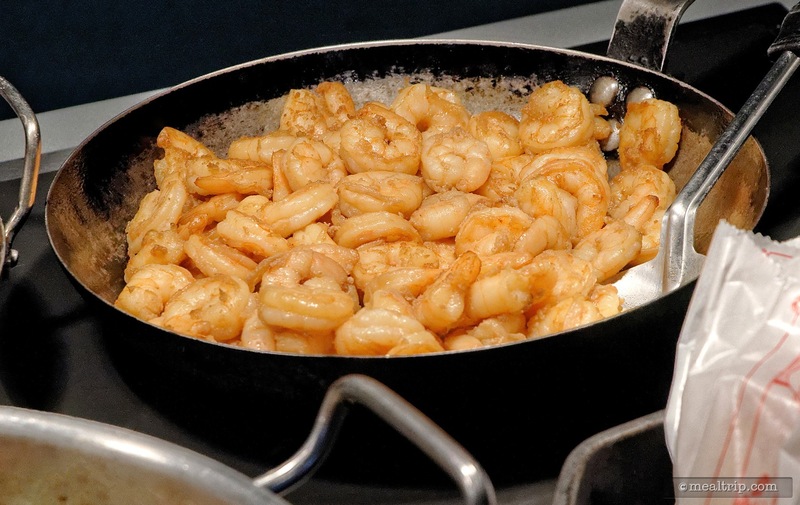 Sautéed Shrimp is ready for the made to order "Shrimp Lo Mein" dish from the Asian Station at Expedition Cafe. 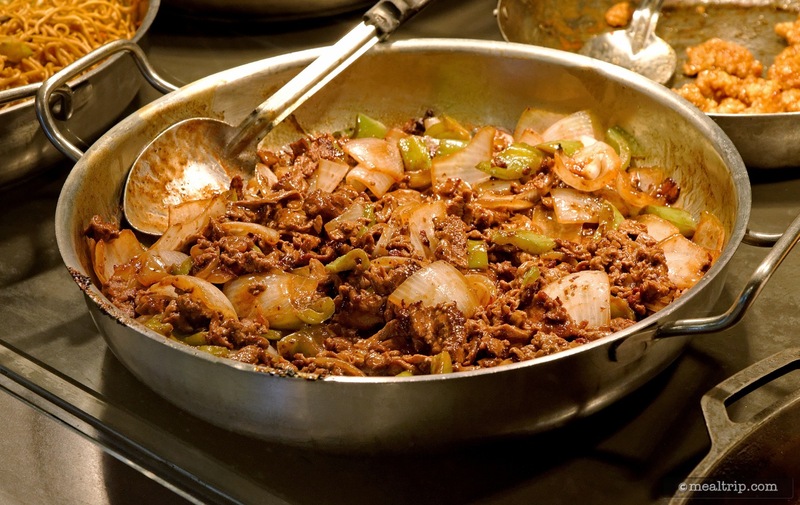 The "South Pole" Pepper Steak dish from the Asian Station combines sliced sirloin tossed with peppers and onions in a Mongolian sauce and served with Jasmine Rice. 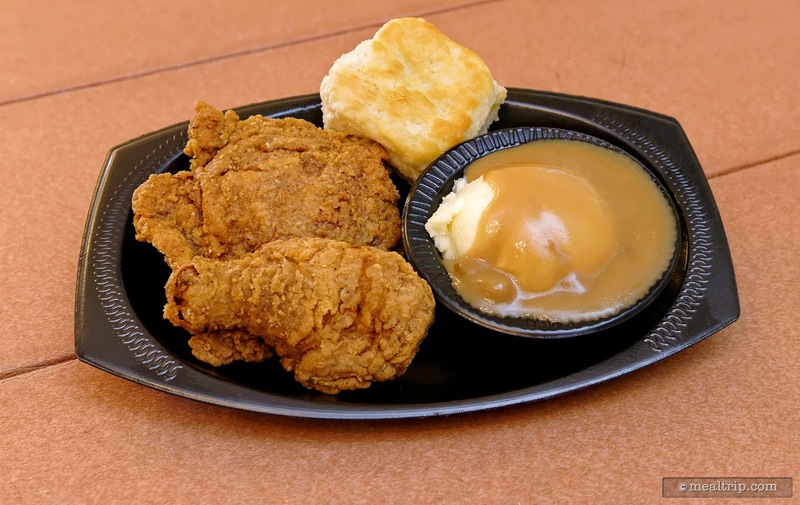 "South of the Equator" Fried Chicken with Mashed Potatoes and Gravy and a Biscuit. 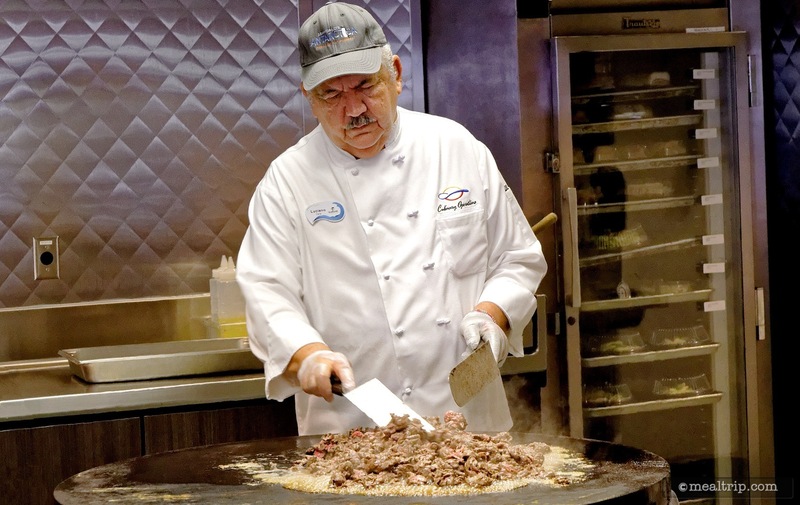 A fresh batch of "South Pole" Pepper Steak is being prepared in the on-stage kitchen. 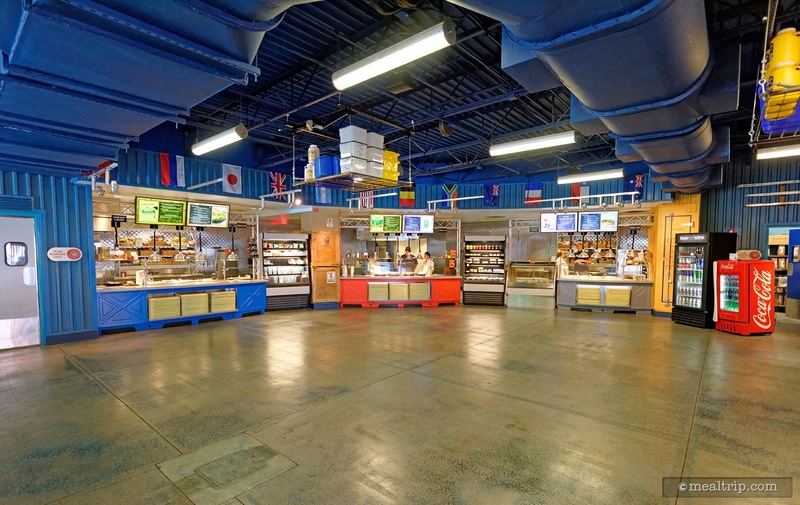 The main food court area at Expedition Cafe is split up into different "regions". 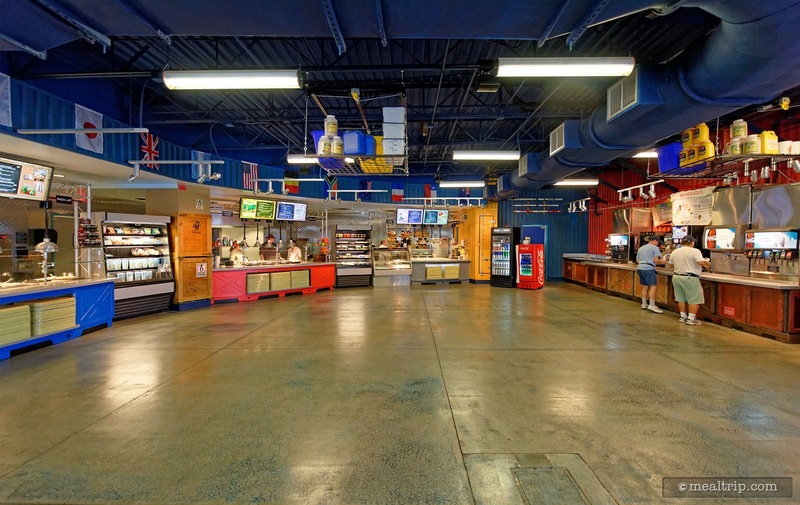 The beverage area is located just to the right of the main food preparation and pickup areas. 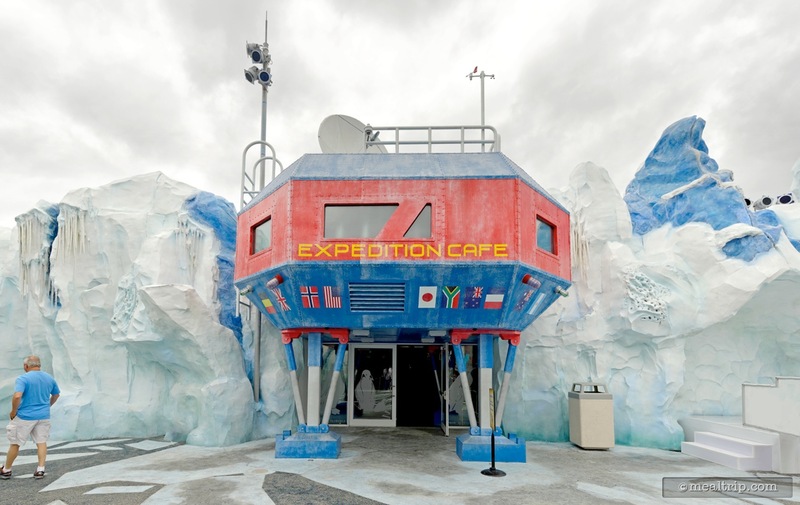 Looking back at the entrance to the Expedition Cafe. 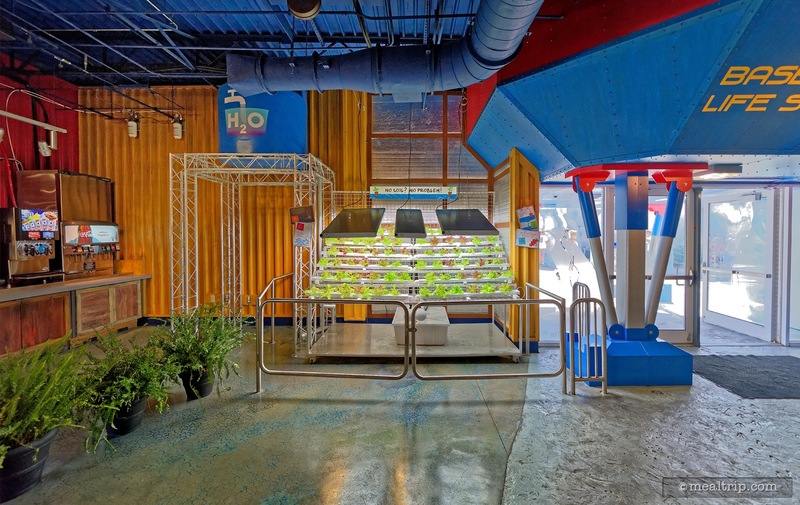 You'll notice a hydroponics demonstration by the door. 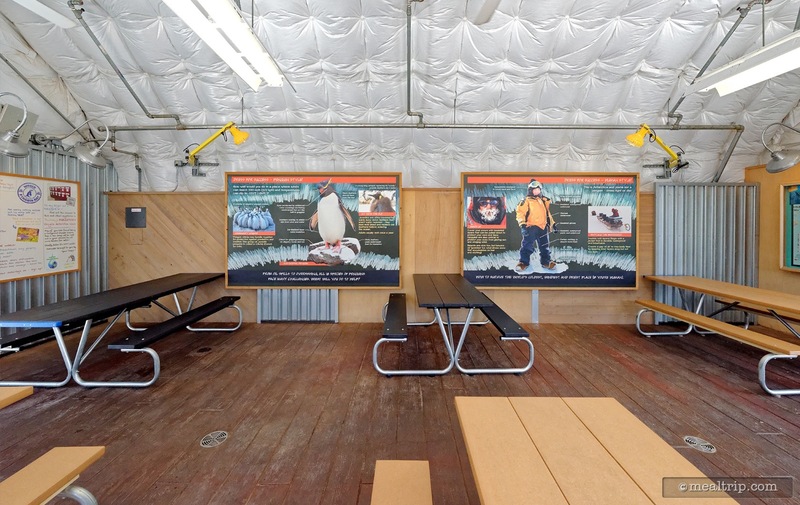 A soil-less growing demonstration area near the front entrance of Expedition Cafe. 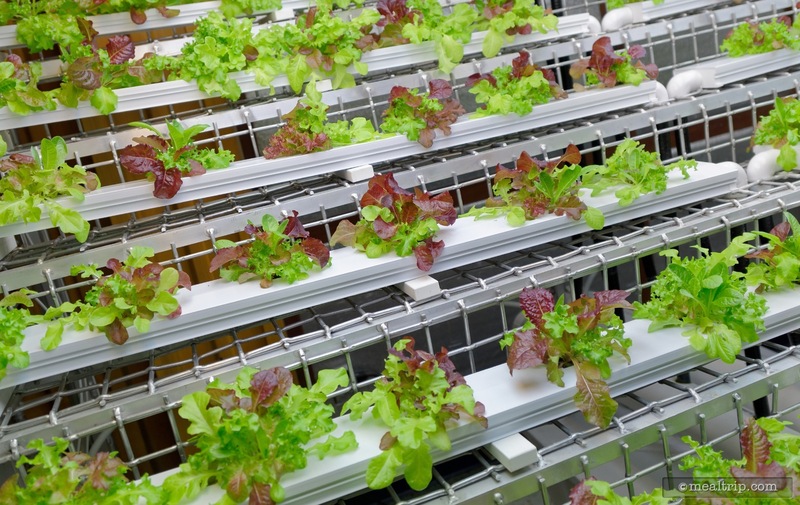 A close up shot of the micro-greens growing in the hydroponics demonstration area. 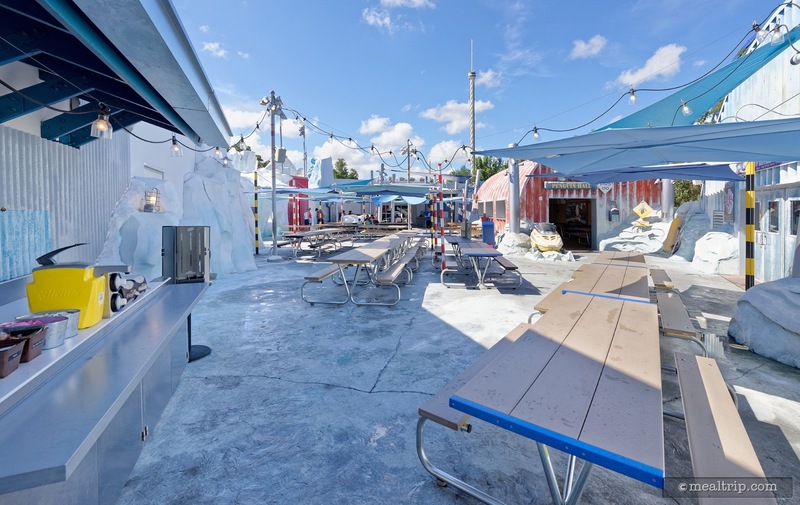 One of the seating areas at Expedition Cafe is covered, but open-air. Some of the wall coverings in the well-detailed open-air seating area. Facing south east in the open-air seating area at Expedition Cafe. The bench-style tables are well spaced, and offer plenty of room. 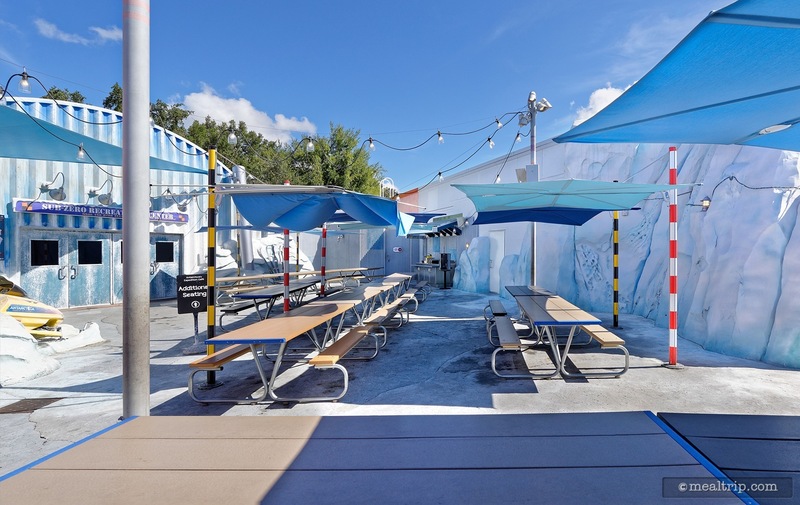 The outdoor seating area at Expedition Cafe. It may look cold, but on most days in Central Florida, you will probably be looking for more shade. 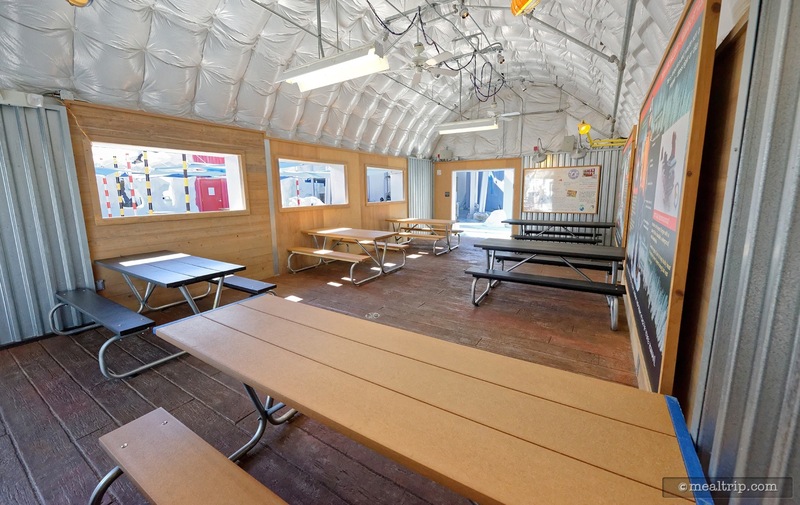 Some of the outdoor tables have shade-sails over them. 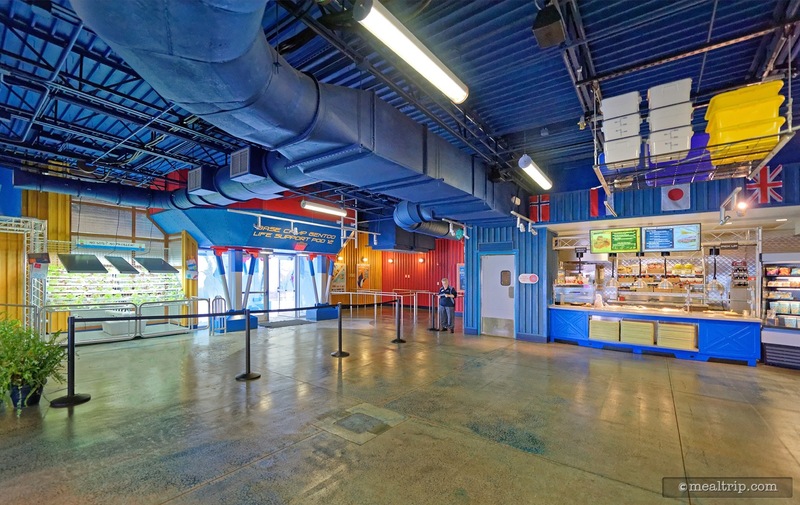 Looking at the entrance to the main indoor seating area at Expedition Cafe. 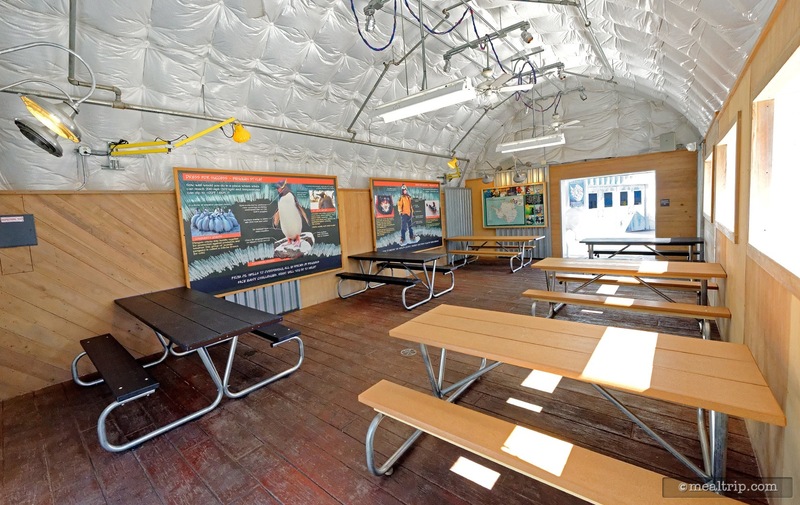 The indoor seating area at Expedition Cafe is quite large and air-conditioned. 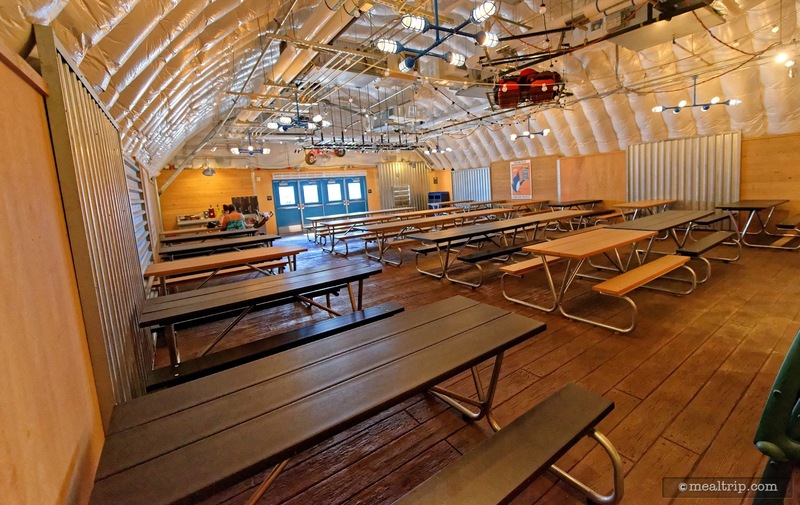 The details along the walls and back-end of the room are quite nice and really add to the "expedition mess-hall" theme. 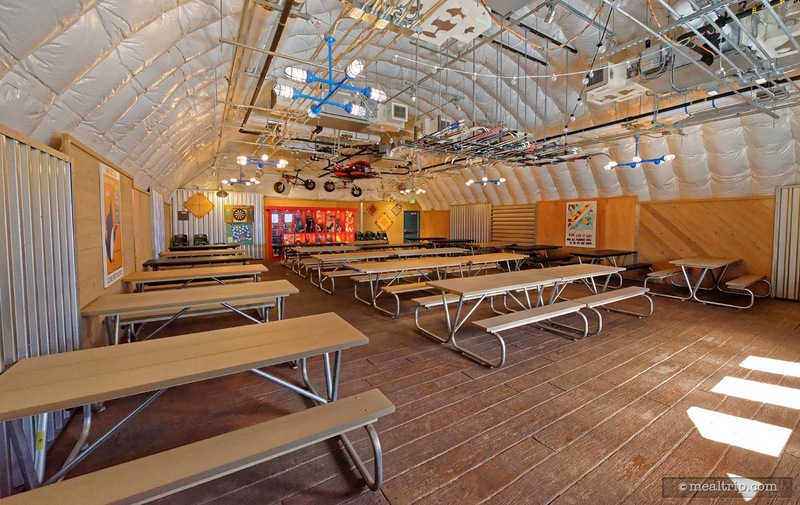 Looking back at the entrance to the main indoor dining area at Expedition Cafe.